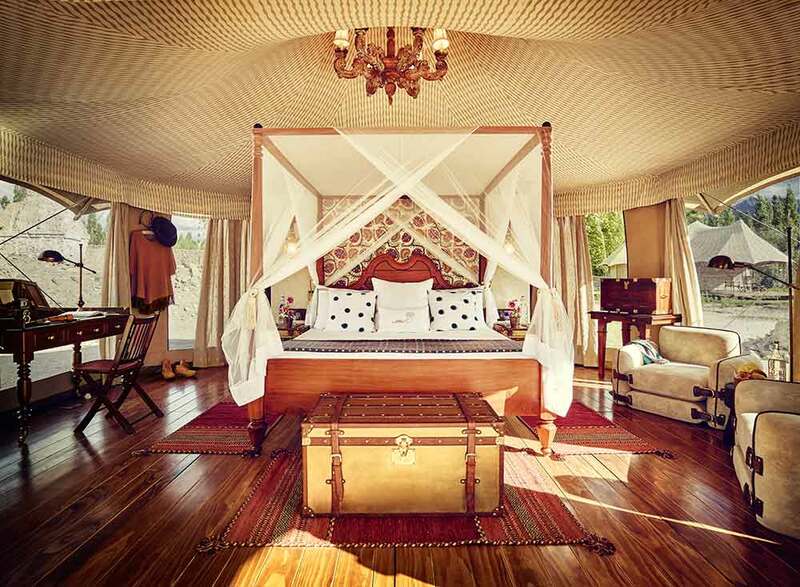 Lying in the shadow of Thiksey’s beautiful hilltop monastery, the exclusive Chamba Camp brings new meaning to the concept of luxury under canvas. 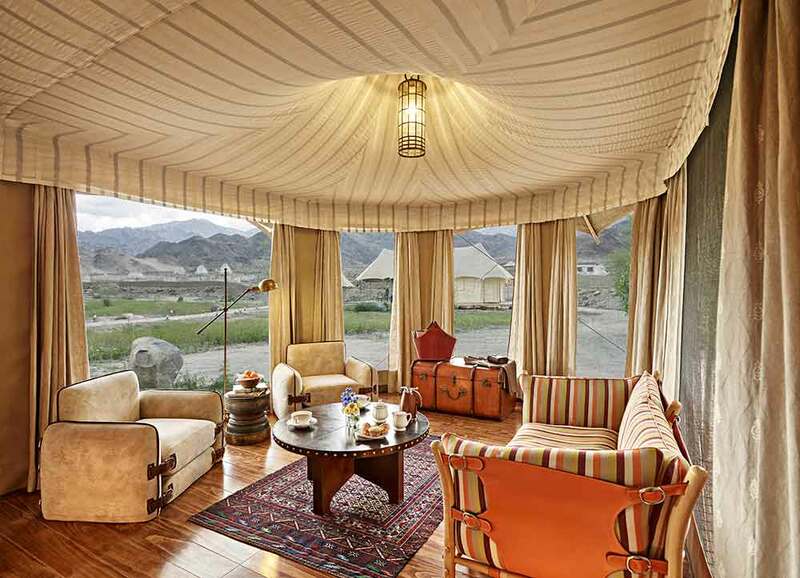 Ask our specialists to include Chamba Camp at Thiksey in your tailor-made holiday to India and you will find yourself perfectly based for rafting the River Indus and exploring the treasures of this spectacular Buddhist kingdom. 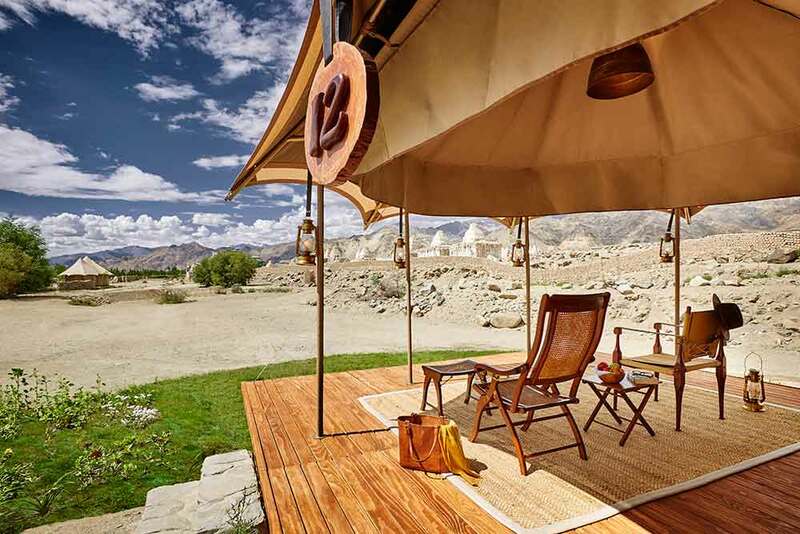 Why not take part in a sunrise prayer ceremony at the Thiksey Monastery, go bird watching or try your hand at horse polo – a popular sport amongst the royal family of Ladakh. 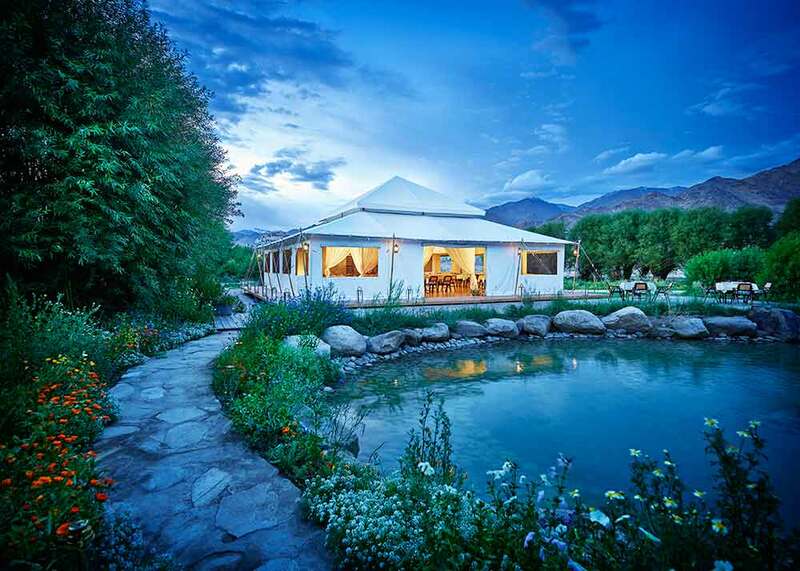 You’ll also be able to immerse yourself in the region’s rich culture by exploring its old hamlets, meeting locals and observing their ancient traditions. 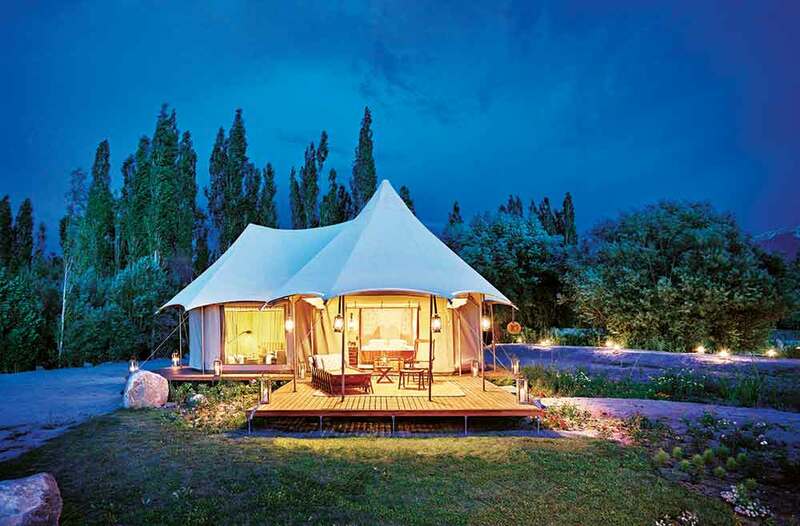 You’ll experience all of this from the comfort of superbly appointed tents with spacious bedrooms, private bathrooms and verandas that offer wonderful views of Ladakh’s awe-inspiring mountain landscapes. 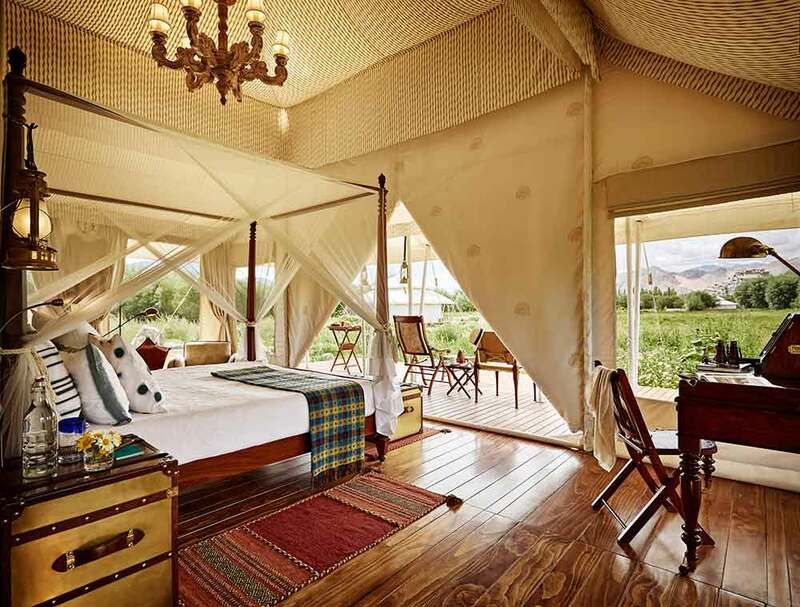 Each tent has an impressive amount of living space, plus elegant colonial-era furnishings and comfortable king sized beds. 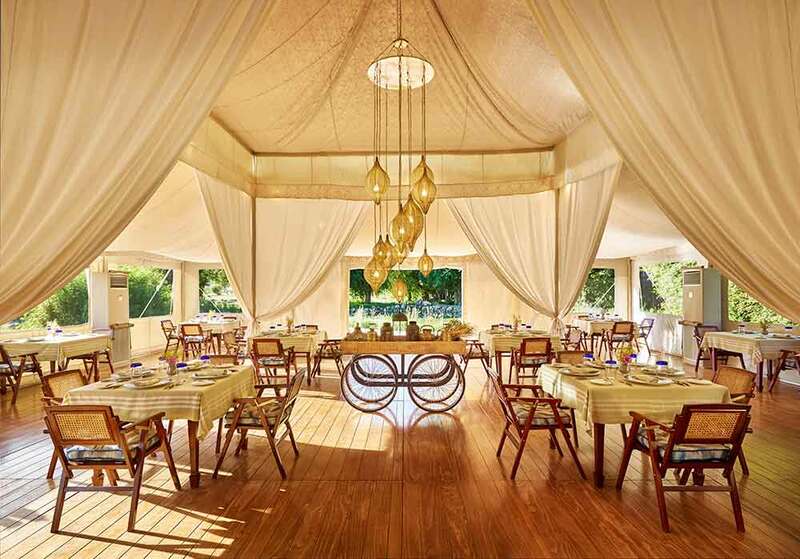 Presidential Suite Tents benefit from an extra wing which can be converted into a lounge or accommodation for two extra guest beds.